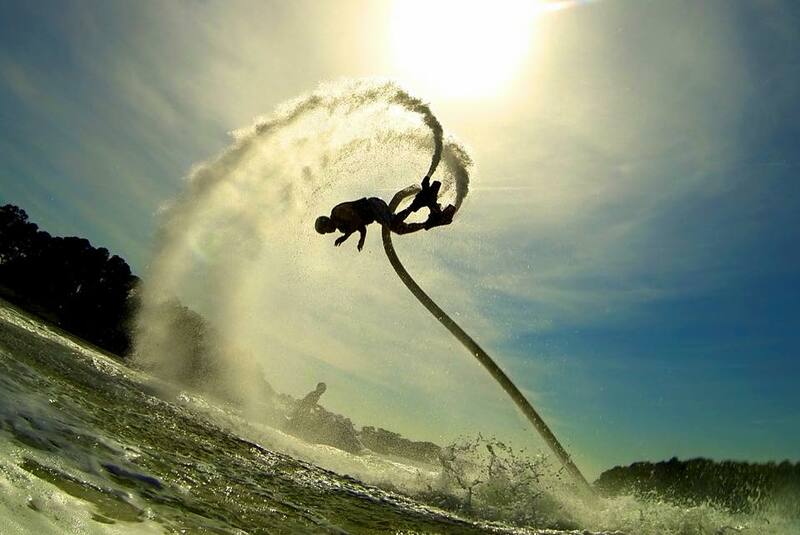 Are you an extreme sport fan?…..then this is a sport that you shouldn’t miss. 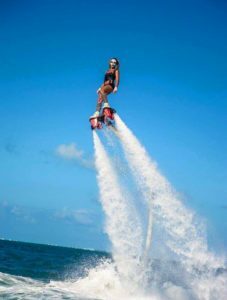 Soar up to 30’ in the air, walk on water, go for speed runs, dolphin dive, or just hover over the surface on your jetpack adventure ride. 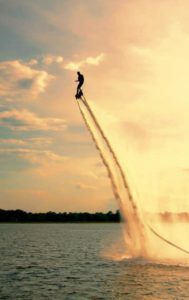 This water jet levitation (jetlev) causes the rider to be able to fly upward into the air and move about forward, backwards, side-to-side and even underwater. 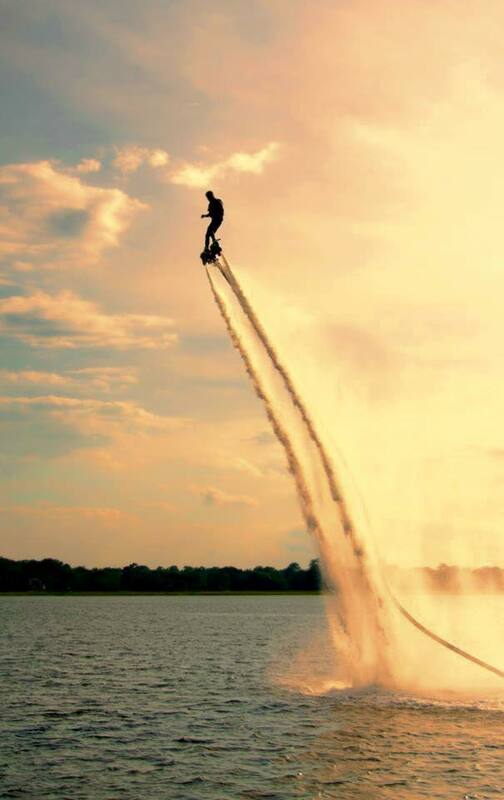 The jetlev system is powered by 450 lbs. 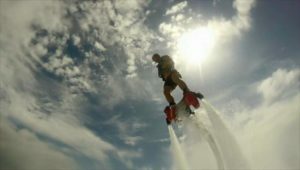 of thrust from a 255 hp supercharged engine, which can potentially propel guests to heights of 30 feet and speeds of 30 mph.